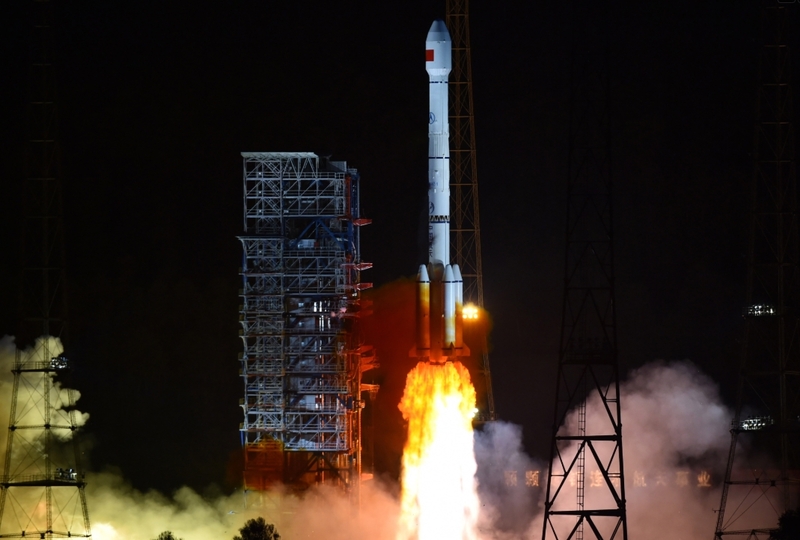 China has launched a new navigation satellite on Thursday, marking its 32nd orbital launch this year. The launch of Beidou-3G1Q (Beidou-1) took place from the LC2 Launch Complex of the Xichang Satellite Launch Center, Sichuan province, using a Long March-3B/G2 (Chang Zheng-3B/G2) launch vehicle. Launch time was 15:57 UTC. 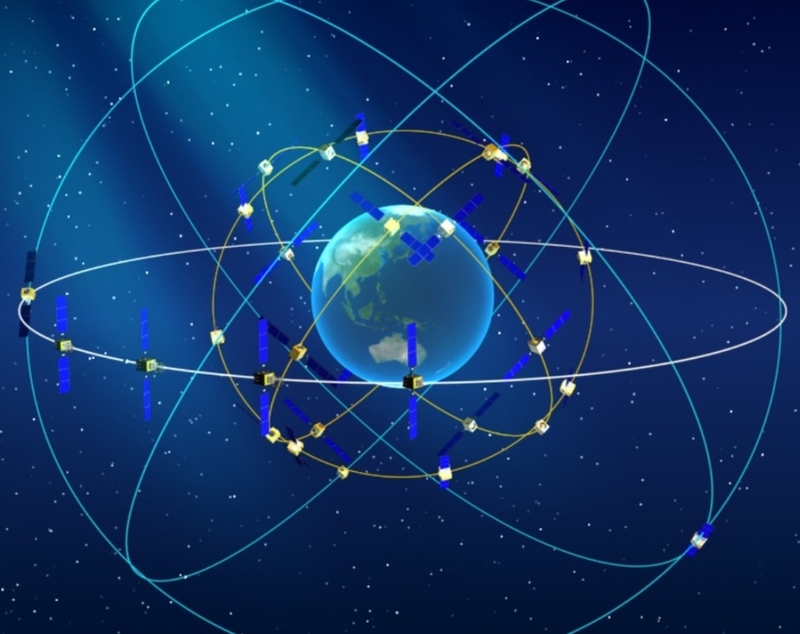 The Beidou-3G satellites are the Geosynchronous Earth Orbit component of the third phase of the Chinese Beidou (Compass) satellite navigation system. The satellite is part of a fleet that will expand the system to a global navigation coverage. The satellite is based on the DFH-3B bus that features a phased array antenna for navigation signals and a laser retroreflector, and also is equipped with an apogee propulsion system for final orbit insertion. The satellite has a launch mass of about 4,600 kg. 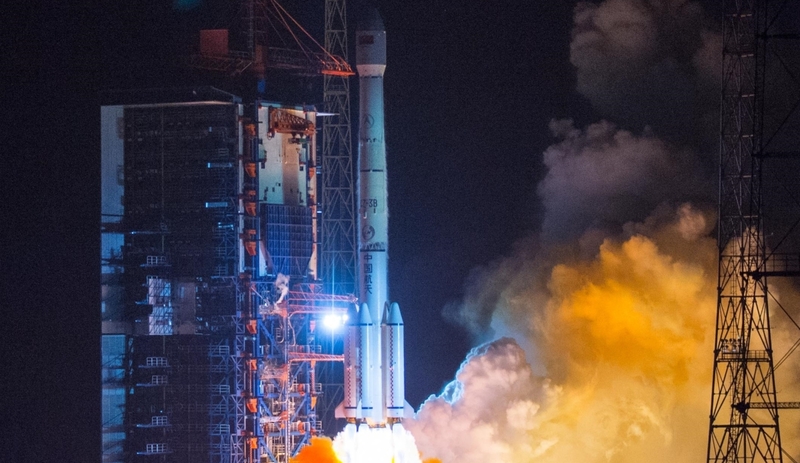 One new pair of Beidou-3M satellites is scheduled to launch before years end. Beidou-3M17 and Beidou-3M18 will be launched in mid-November. The Beidou Navigation Satellite System (BDS) has been independently constructed, developed and operated by China taking into account the needs of the country’s national security, economic and social development. As a space infrastructure of national significance, BDS provides all-time, all-weather and high-accuracy positioning, navigation and timing services to global users. 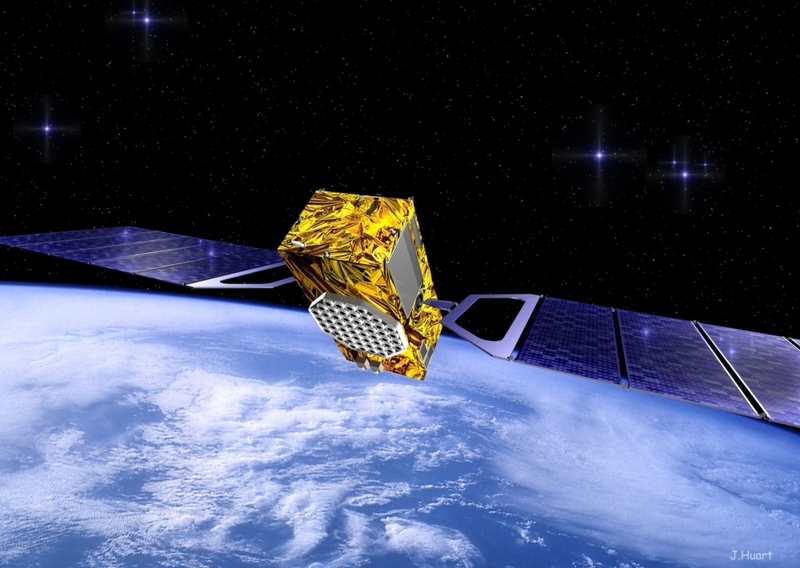 Render of a BeiDou-3 satellite by J. Huart. Along with the development of the BDS service capability, related products have been widely applied in communication, marine fishery, hydrological monitoring, weather forecasting, surveying, mapping and geographic information, forest fire prevention, time synchronization for communication systems, power dispatching, disaster mitigation and relief, emergency search and rescue, and other fields. Navigation satellite systems are public resources shared by the whole globe, and multi-system compatibility and interoperability have become a trend. China applies the principle that “BDS is developed by China, and dedicated to the world”, serving the development of the Silk Road Economic Belt, and actively pushing forward international cooperation related to BDS. As BDS joins hands with other navigation satellite systems, China will work with all other countries, regions and international organizations to promote global satellite navigation development and make BDS further serve the world and benefit mankind. 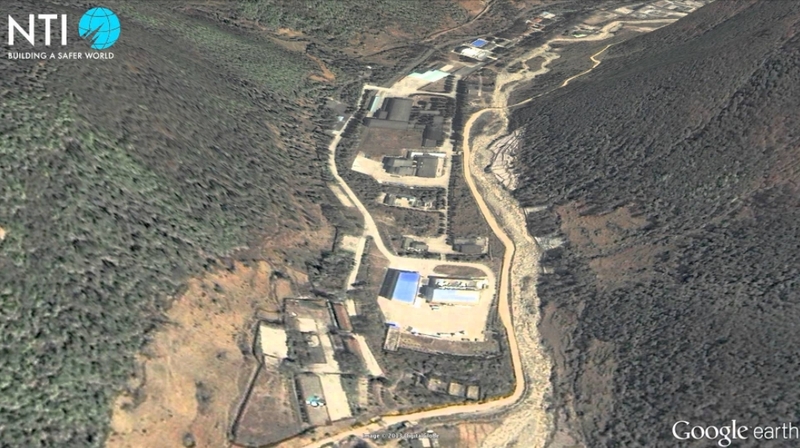 China started to explore a path to develop a navigation satellite system suitable for its national conditions, and gradually formulated a three-step development strategy: completing the construction of BDS-1 and provide services to the whole country by the end of 2000; completing the construction of BDS-2 and provide services to the Asia-Pacific region by the end of 2012; and to complete the construction of BDS-3 and provide services worldwide around 2020 with a constellation of 27 MEOs plus 5 GEOs and the existing 3 IGSOs satellites of the regional system. CNSS would provide global navigation services, similarly to the GPS, GLONASS or Galileo systems. CNSS supports two different kinds of general services: RDSS and RNSS. In the Radio Determination Satellite Service (RDSS), the user position is computed by a ground station using the round trip time of signals exchanged via GEO satellite. The RDSS long-term feature further includes short message communication (guaranteeing backward compatibility with Beidou-1), large volume message communication, information connection, and extended coverage. The system will be dual-use, based on a civilian service that will provide an accuracy of 10 meters in the user position, 0.2 m/s on the user velocity and 50 nanoseconds in time accuracy; and the military and authorized user’s service, providing higher accuracies. China upholds the principles of “independence, openness, compatibility and gradualness” in the BDS construction and development. Independence refers to uphold independent construction, development and operation of BDS, and to acquire the capability to independently provide satellite navigation services to global users. Openness refers to provide open satellite navigation services free of charge and to encourage all-scale, multi-level and high-quality international cooperation and exchange. Compatibility refers to enhance the BDS compatibility and interoperability with other navigation satellite systems and to encourage international collaborations and exchanges, so as to provide better services to users. Gradualness refers to carry out the BDS development in a phased approach, to enhance the BDS service performance, and to boost the development of satellite navigation industries in a comprehensive, coordinated and sustainable manner. Developed from the Long March-3A, the Long March-3B features enlarged launch propellant tanks, improved computer systems, a larger 4.2 meter diameter payload fairing and the addition of four strap-on boosters in the core stage that provide additional help during the first phase of the launch. Long March 3B – via Xinhua. The LM-3B/G2 (Enhanced Version) launch vehicle was developed from the LM-3B, increasing the GTO capacity up to 5,500kg. The LM-3B/E has nearly the same configurations with LM-3B bar its enlarged core stage and boosters. The first launch of the LM-3B was the infamous ‘St. Valentine Day Massacre’ and took place on February 14, 1996, but ended in failure. In this day the first LM-3B launcher failed 2 seconds after liftoff and crashed in a nearby village killing an untold number of people. The first successful launch took place on August 19th, 1997 when the second LM-3B orbited the Agila-2 ‘Mabuhay’ (24901 1997-042A) communications satellite. On May 14, 2007, the first flight of LM-3B/G2 was performed successfully, accurately sending the NigcomSat-1 into pre-determined orbit. With the GTO launch capability of 5,500kg, CZ-3B/G2 is dedicated for launching heavy GEO communications satellite. The first two stages, as well as the four strap-on boosters, use hypergolic (N2O4/UDMH) fuel while the third stage uses cryogenic (LOX/LH2) fuel. The total length of the LM-3B is 54.838 meters, with a diameter of 3.35 meters on the core stage and 3.00 meters on the third stage. On the first stage, the LM-3B uses a YF-21C engine with a 2,961.6 kN thrust and a specific impulse of 2,556.5 Ns/kg. The first stage diameter is 3.35 m and the stage length is 23.272 m.
The third stage is equipped with a YF-75 engine developing 167.17 kN and with a specific impulse of 4,295 Ns/kg. The fairing diameter of the LM-3B is 4.00 meters and has a length of 9.56 meters. The LM-3M can also use the Yuanzheng-1 (“Expedition-1″) upper stage. It uses a small thrust 6.5 kN engine burning UDMH/N2O4 with specific impulse at 3,092 m/s. The upper stage should be able to conduct two burns, having a 6.5 hour lifetime and is capable of achieving a variety of orbits. It will be adapted for use on the LM-3A/B/C series mainly for direct MEO/GEO insertion missions (mostly for the navigation satellites of the Beidou GNSS). The fuelling of the third stage with LOX and LH2 starts at L-7h. First and second stages, as well as the four strap-on boosters, use hypergolic propellant fuelled earlier. At L-1h 20m is the launch vehicle control system power on and function checkout followed by the telemetry system power on and function checkout. At L-40m the fairing air-conditioning is turned-off and the air-conditioning pipe is dropped-off. Technicians also proceed with the flight program loading and check-up. The gas pipes for the first stage second and are dropped-off. The pre-cooling of the third stage engines takes place at L-20m and at L-13m takes place the third stage propellants topping. Between L-15m and L-10m the spacecraft umbilical disconnection takes place and at L-3m the telemetry and tracking systems power is switch-over and the third stage propellant fueling pipe is disconnected. The disconnection of the gas pipe for the third stage is disconnected at L-2m followed by the control system power switch-over at L-1m 30s. Control system, telemetry system and tracking system umbilical disconnection takes place at L-1m as well as the swinging-off of the rods. The TT&C systems start at L-30s and ignition comes at L-0s. Eleven seconds after lift-off takes place the pitch-over maneuver. Boosters separation occurs at T+2m 21s followed at T+2m 39s by the separation between the first and second stages. Fairing jettison comes at T+3m 55s. Separation between the second and third stage takes place at T+5m 44s, with the third stage igniting for the first time. This burn ends at T+10m 12s. The vehicle is now on a preliminary orbit until T+20m 56s when the third stage starts its second burn. This burn will last for 3 minutes and 6 seconds, ending at T+24m 2s. After the third stage shutdown takes places at T+24m 22s an attitude adjustment before spacecraft separation at T+25m 42s. The first launch from Xichang took place at 12:25UTC on January 29, 1984, when the Long March-3 (Y1) was launched the Shiyan Weixing (14670 1984-008A) communications satellite into orbit.